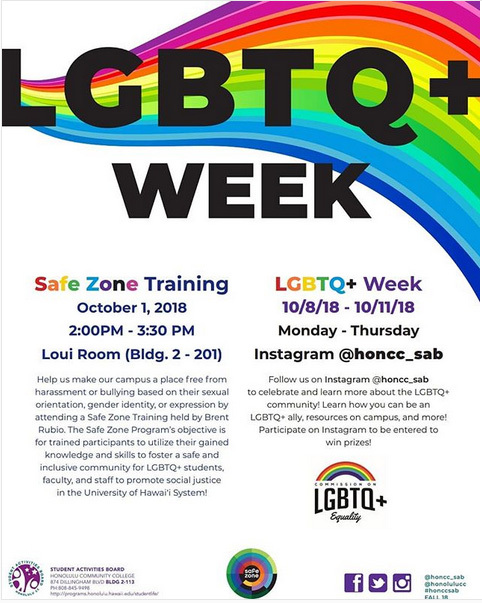 Honolulu CC is celebrating LGBTO+ week during Monday, October 8th to Thursday, October 11th. Join us in celebration of our LGBTO+ community! The Student Activities Board will be having giveaways, LGBTO+ community facts, shout outs and more.